This shortened full body interval workout is sure to give you everything you need to reach your fitness goals while giving you the energy you need to get through the rest of your day. 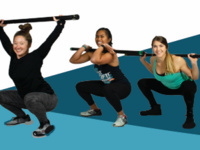 Your instructor will challenge your endurance, strength, and power every week! Fridays - 12:15 - 12:45 p.m.